• Grows from 4-10m in height. • Similar to R. stylosa and R. samoensis; i.e. stilt roots. • Leaves have a sharp tip. • Flowers are white and occasionally yellow. Uses: no specific use recorded thus far, but frequently used for firewood. 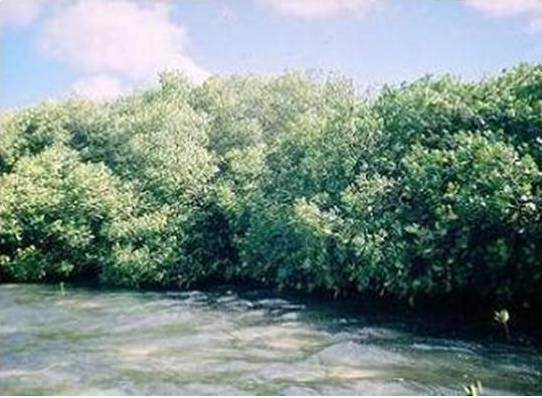 Habitat: occurs only in mangrove swamps where both R. stylosa and R. samoensis are present. Distribution: it is a locally common species known to occur only in Fiji and New Caledonia.